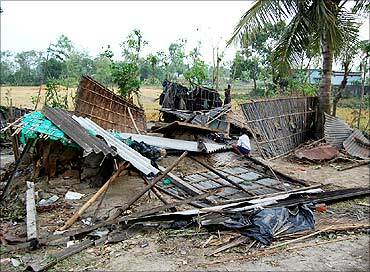 North Dinajpur district in West Bengal has been the worst hit by the storm that lashed Bihar, Bengal and Assam on Tuesday and left 124 people dead. 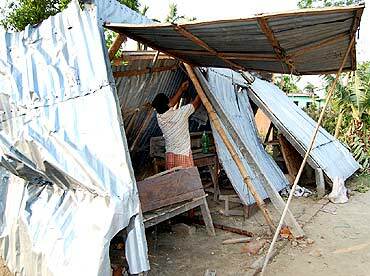 As many as 45 people have been killed by the storm in North Dinajpur, and over two lakh people have been rendered homeless. 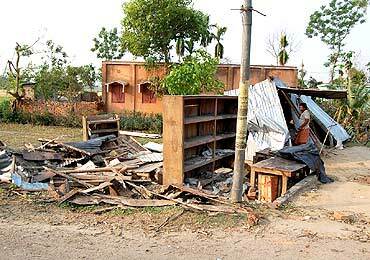 The storm, with a wind speed of 125 kmph, left behind a trail of death and destruction. 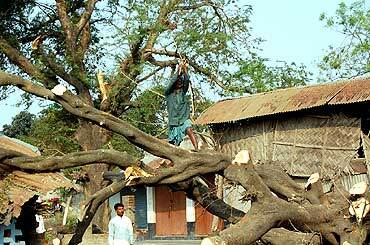 Several houses were flattened, crops damaged and thousands of trees uprooted. Angry villagers in North Dinajpur district on Friday blocked an arterial highway demanding relief materials. 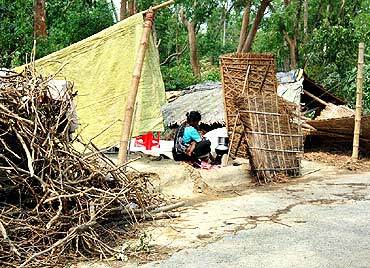 More than 2,000 men, women and children sat on the road outside the office of the block district officer at Hemtabad on the Balurghat-Raiganj road, protesting against absence of relief materials, three days after the storm tore through the area, said the police. 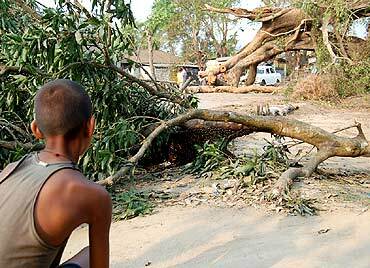 "Three days have gone by and yet no relief material has reached our villages. We do not have safe drinking water and tarpaulin sheets to cover our heads. 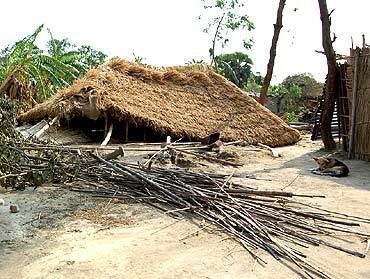 We also have no dry food and no baby food," said Haripada Mondal of Bharatpur village. Hundreds of buses, trucks, cars and small vehicles were stranded on the highway which links Siliguri. "So far, 72,000 tarpaulin sheets have been distributed. Distribution of dry food has been initiated at several villages through fair price shops. Efforts are being made to send drinking water to the affected villages," said state relief secretary Madan Lal Meena. Meanwhile, the Congress today demanded sacking of Minister for Disaster Management Devesh Chandra Thakur, for allegedly not visiting the areas devastated by the storm that struck Bihar on Tuesday.